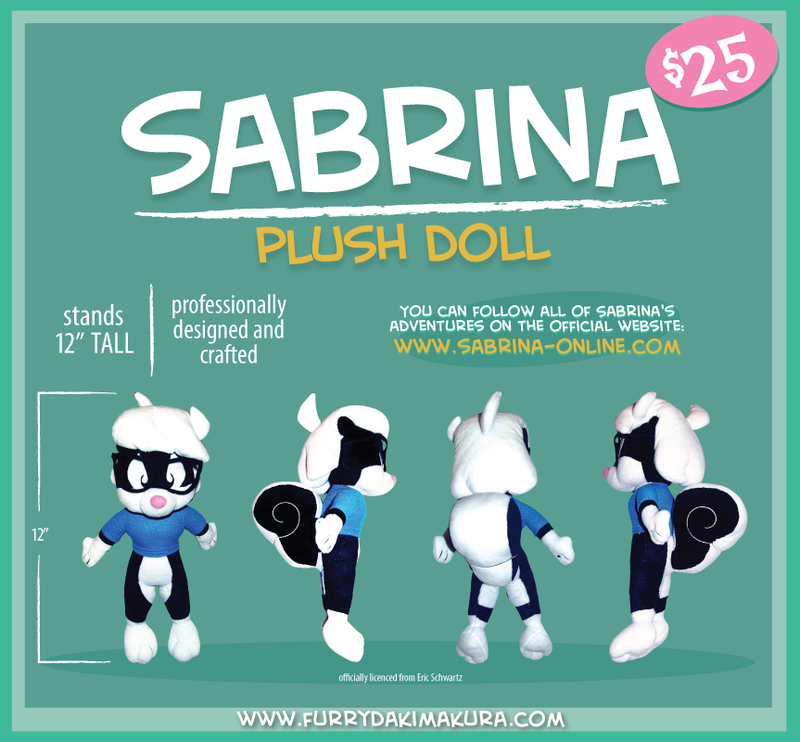 Sabrina has delighted her fans for over twenty years, and now she can grace your home in plush form! Handcrafted out of high quality fabric, she is 12" tall and comes complete with iconic glasses and shirt. Sabrina is (TM) Eric Schwartz, used with permission.